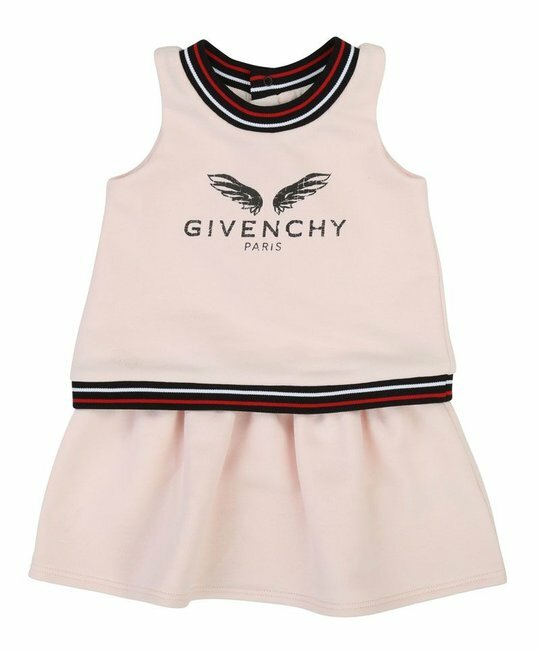 Givenchy soft pink sleeveless dress with striped rib and printed logo detailing. 86% Cotton, 14% Polyester. Imported.